Click here for Martin Armstrong’s latest blog post entitled, It’s Always a Question of Time, dated February 26, 2013. This post is about Martin’s thoughts on an eventual two-tier monetary system. The collapse of the US dollar and/or US debt, that requires a “revalue” of the dollar. A new national-only “dollar” that will be either inflationary or deflationary in nature. The new “floating” international currency that will be for international trade, particularly petro and energy. This will be the opposite monetary pressure than the national dollar. Physical gold and silver will help see your changing fiat currency retain its value during this process. The bullet points above explain why gg thinks it is very hard to figure out if we will err on the side of inflation or deflation before and after this “revalue” and new currency. It is very possible that in the next 10 years that the deflationists, stagflationists, and hyperinflationists will all have an opportunity to be correct in their forecast. What I am saying is that it is highly unlikely that the powers that be will get it right the first time and we will have ups and downs in the value of these new currencies for a while, possibly years. This could be a reason to hold onto some gold and silver even after it reaches its “high” in the cycle. We will have to watch this carefully. Side note: gg thinks you can all see that an extra currency in international trade will have fees attached to it, a special system to track taxes, maybe even an international tax of some kind, and probably will be digital. The US will then get to feel the same pain that everyone else on the globe has felt with the petro-dollar for the last 40 years. This new system will have the effect of stopping the decline in US economic activity, only to the extent that it will create stability. But the days of cheap auto gas and energy are gone forever, and it has little to do with Peak Oil. It has to do with a debt collapse, the destruction of the petro-dollar, and the fall of the American Empire. The largest financial crime in history that has never been acknowledged or prosecuted. Here is a very extensive article on Libor. It covers the impact on the State of California and the cities of California. And the scam that they are running on their investors and their taxpayers. By the way, this is not “fixed”, even though the Libor scam has been exposed. States and Cities are still vulnerable to high interest rates. And CA is like a whole country in its economy and debt, bigger than Greece. This is another way that debt is being passed to taxpayers and the pensioners will get screwed out of money to pay investors. This systemic problem of state and city debt will not be fixed until it collapses and resets. What does this story about downed drones in Iran and reverse engineering have to do with this story about recent Chinese computer warfare on big name US companies? Hint: who received the stuxnet virus? groovygirl finds it very interesting that the US has announced these private company hacks. Makes gg think that these attacks were either not as innocent and non-damaging as the announce makes it seem. Stuxnet requires some system knowledge to work, could be a pre-fishing expedition. That’s the problem with drones and computer viruses, once you launch them at your enemy…..your enemy can reverse engineer them (perhaps up to a limit) and quickly gain some knowledge to use against you. gg hopes the US has a plan, like some decoys? Or maybe these recent Chinese hacks are the decoys from the other side? The intrigue…..
gg has no idea about these things, but she does know: the 21st century warfare is in full swing. The computer virus wars are underground. And the currency wars are above ground. Both cost money and both have the potential to cause major economic and systemic problems. They do it all the time…..
Bruce Krasting bought the recent CIA’s economic global numbers via zerohedge. Click here. Bruce found these numbers very interesting and so did groovygirl. The numbers are provided by the countries themselves, so I am sure they are under the true numbers. Take a look of that increase in global debt and credit. It increased by the trillions! Think about how that number is probably low because of reporting bias and the lack of transparency in the credit derivative market? Think about how much debt implosion is being covered to just break even, let alone increase. This is the greatest wealth transfer in history. Debt from investors to taxpayers and assets from everyone to the controlling corporations of the globe. At some point the taxpayers will not put up with bailouts, governments will resort to devaluing or revaluing fiat currencies, faulting on sovereign debt, and/or use of pensions for government debt. Click here if you didn’t already see this one on his latest gold chart. Other interesting blog posts the last few days at Martin’s site. The message to the Fed, after their “leaked” notes on the possibility that they were maybe thinking about stopping the massive buying of anything that might implode without hitting their 6% unemployment goal, is crystal clear: investors will sell everything in a split second and crash the economy (via the invisible derivative market). We now know exactly what will happen in the future: either the Fed will never stop buying vulnerable assets or if they do (or are forced to), they will not announce it. Be prepared. Jesse over at cafe Americain has been teaching us about lost heros of truth. Particularly, Sophia Scholl, known as the White Rose in WWII Germany. Click here. Since there are so few seekers and proclaimers of truth now (or if they are around they are suppressed by MSM, for example, Swartz, and ignored by Hollywood, for example reality TV, need gg say more), we must study the past for our mentors and super heros. The most powerful word in any language is “no”. “The real damage is done by those millions who want to ‘get by.’ The ordinary men who just want to be left in peace. Those who don’t want their lives disturbed by anything bigger than themselves. Those with no sides and no causes. Those who won’t take measure of their own strength, for fear of antagonizing their own weakness. Those who don’t like to make waves—or enemies. Here are beautiful examples of Fibonacci in Nature. The Fibonacci is thought to be the design of least resistance. That is why it can relate to investing and the movement of capital from investment to investment. Therefore, they explain the bubble mentality of investing, which is an example of the path of least resistance. Click here. The “bear trap” to the “new paradigm” is an exponential function. “Fear” on the way down is an exponential function in reverse. Also referred to as a “hockey stick”. These theories are the easiest to see in long-term business cycles. Click here for another great gold chart. 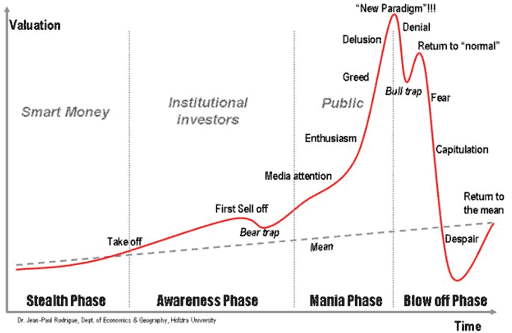 This illustrates the long gold cycle. We are in a long gold cycle (15-20 years) that started in 2000. Groovygirl stills finds is humorous, but sad, that people are always claiming a top in gold when we retraced a small percentage in relation to where we began. Martin’s next Economic Turning Point in August 2013 falls in line with this gentleman’s formula for gold. We have had two major correction in the 12 years of this bull gold market. That is exactly what should happen in a long cycle. There is a time to sell gold, we are far from that time.